THURSDAY, Jan. 25, 2017 (HealthDay News) — Controversial “heat-not-burn” tobacco devices might only get limited marketing in the United States, based on recommendations issued Thursday by an influential government panel. These devices are different than e-cigarettes, in that instead of heating a nicotine-infused liquid, they warm up tobacco to about 500 degrees Fahrenheit, producing an inhalable aerosol. A panel of advisers to the U.S. Food and Drug Administration has been examining an application from tobacco giant Phillip Morris to market such a device, called iQOS, in the United States. The device is already sold in 30 countries. However, on Thursday the FDA panel rejected Philip Morris’ proposal that it market iQOS as a lower-risk alternative to cigarettes — one that would cut a user’s risk for disease compared to “regular” smoking. But in another decision, the panel said it would endorse a second claim — that iQOS exposes users to lower levels of toxic chemicals compared to cigarettes. That could open the door to the tobacco company marketing the device in the United States, but in a more restricted way. The FDA is expected to decide whether Philip Morris can sell iQOS within the next few months. The agency is not obligated to follow the recommendations of its advisory panels, but it usually does. Research on the potential health impact of such devices has barely begun. One recent study, published in October, found that in countries where the product is already on the market, like Japan, it has achieved rapid popularity as a smoke-free option for those e-smokers who yearn for the old taste and back-of-throat burning sensation (or “hit”) of traditional cigarettes. Still, “we don’t know enough about the health implications of heat-not-burn tobacco products, and that lack of knowledge is extremely dangerous for public health,” Theodore Caputi, the study’s lead author, said at the time of publication. He’s a graduate student in public health at the Wharton School at the University of Pennsylvania in Philadelphia. “We know from experience that the tobacco industry and their allies will not wait for all the facts to begin making health claims,” he added. “We need to first ensure, before heat-not-burn reaches the market, that consumers are aware we don’t have all the facts on heat-not-burn products, and then we should begin filling in those knowledge gaps,” Caputi said. Caputi and his colleagues published their study online Oct. 11 in the journal PLOS One. To get a handle on the potential popularity of heat-not-burn devices in the American marketplace, the researchers looked at Google search patterns in Japan to gauge shifting interest in the mechanism. They found that heat-not-burn Google searches in Japan spiked by more than 1,400 percent in 2015, when the devices were first released in that country, and by nearly 3,000 percent between 2015 and 2017. There are now as many as 7.5 million searches a month in Japan. That trend reflects an even greater interest than that seen when e-cigarettes were first introduced in the Japanese market, the study authors said. Study co-author John Ayers is a research professor at the San Diego State University Graduate School of Public Health. He said, “Unfortunately, we don’t know what the health implications are for heat-not-burn tobacco. Our study simply shows these products are insanely popular in Japan, their only national test market. “Even if interest in these products is just one-tenth as much in the U.S., it suggests many millions will seek out these products,” Ayers added. According to Caputi, “the available evidence does suggest that heat-not-burn tobacco products — if they’re approved by the FDA — will be coming to a store near you.” Because of that, “we need to combat unfounded claims surrounding the health implications of heat-not-burn tobacco products,” he said. 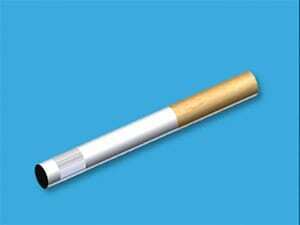 The FDA has more about nicotine and tobacco delivery devices.